Now, this is 5 Star Deluxe! Constance Le Prince Maurice is set in 60 hectares of completely unspoilt land and is the very essence of effortless elegance. For the ultimate experience, choose the over-water accommodation and dine in the Barachois Floating Restaurant which, at night, sits on a pool of light as the water is lit from underneath so you can watch the marine life. This has to be one of the ultimate couples and honeymooner’s destinations, but maybe you want to avoid telling your golf-playing partner about the unlimited free green fees at the two Championship golf courses. If you fail miserably, then go and pamper yourself with a signature treatment at the spa. Suites are located on the ground or first floor with garden views. Suites are located on the ground or first floor with direct ocean views. 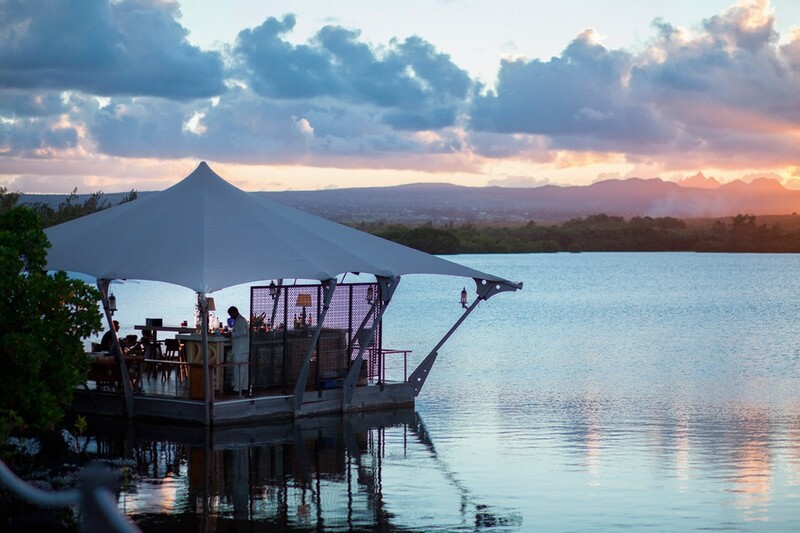 Free standing suites are located over the lagoon with views of the natural fish reserve. Suites are located on the ground or first floor overlooking the garden or ocean with a main bedroom en suite shower and tub and second room with bunk beds for children with its own en suite shower and wc. Individual villa type accommodation with a thatched roof. Some villas offer direct beach access and a heated private pool. 3 villas (without private pool) are on stilts overlooking the natural fish reserve. In addition to the standard facilities the suites comprise of a bathroom with a whirlpool bathtub, outdoor soaking bath, plus a separate living area. The Princely Villa, located directly on the beach, represents two Junior and one senior suite together with a garden, two swimming pools as well as three private terraces, each facing a different part of the lagoon. The Princely Suite also has a bathroom for guests and a small kitchen for the butler’s use. Guests booked on Half Board are also entitled to a three course meal at La Spiaggia or Blue Penny Cellar at Constance belle Mare Plage on reservation. Located in the main building, overlooking the pool and the beach and is partly open-air. Open for breakfast, lunch and dinner offering à la carte menus with light Mauritian enhanced gourmet food and themed buffet dinners. 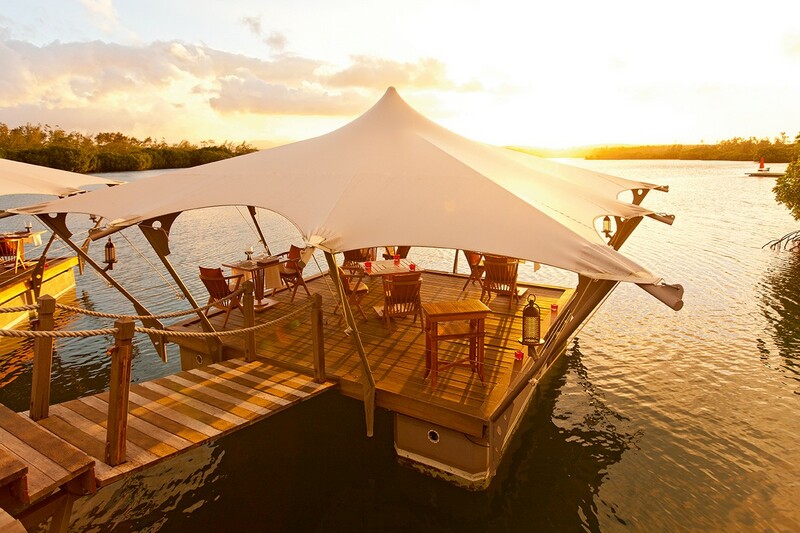 A unique floating restaurant comprises of five decks, located amongst the natural fish reserve, which is reached via a wooden pathway. Le Barachois overlooks the lagoon with an unspoiled view of a mountain range with breath-taking sunsets. 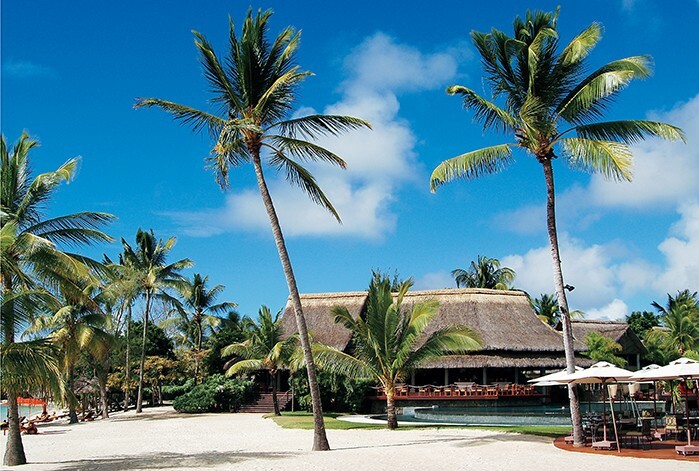 The restaurant is open for dinner only and offers daily specials including grills, seafood and Mauritian delicacies. Located on a wooden deck directly on the beach, open for lunch, offering a light à la carte menu and snacks. Open for dinner for special themed evenings. The most transforming and customized spa experience, where cutting edge innovation unites with luxury, emotion and sensuality. 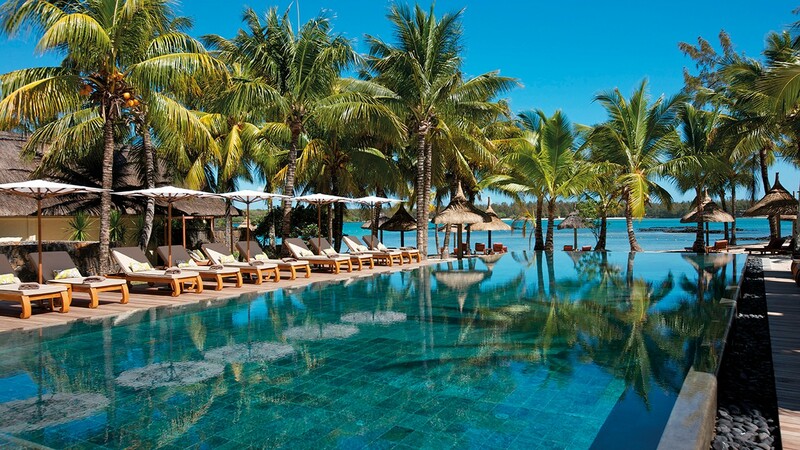 Two 18-hole Golf courses at Constance Belle Mare Plage’s "Legend” and "Links” golf courses, located 5 minutes away, free shuttle service to and from the hotel is provided between 7 am to 7 pm. Les "Petits Princes” has a game room, a dining area and private pool and welcomes children between the ages of 4 and 12 daily from 09h00 - 21h00. Indoor and outdoor activities are organised daily under adult supervision. Children’s menus are also available on request, as well as babysitting facilities (at an additional cost).